There’s a lot of history along El Camino Real, the historic route that once connected the Spanish missions along the California coast. It’s called Highway 101 now, but it’s still the main artery connecting the Central Coast wine regions. We headed south down Highway 101 from Paso Robles, threading our way through green hills towards the ocean. We stopped in the Edna Valley where, if you sit high on a hillside, you can see the Pacific. 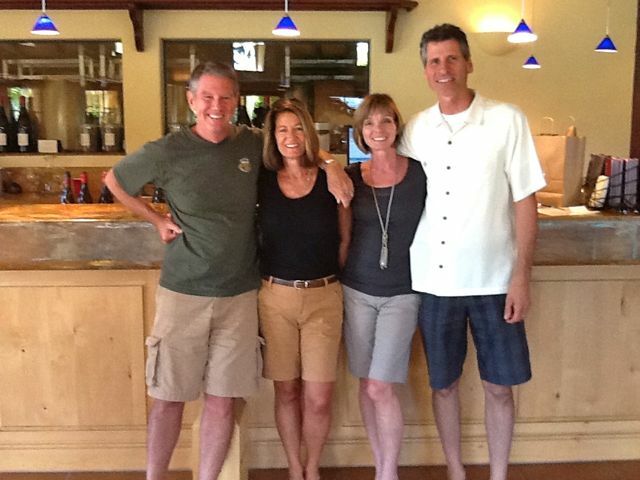 We were at a funky little compound that houses one of Sextant Winery’s tasting rooms. 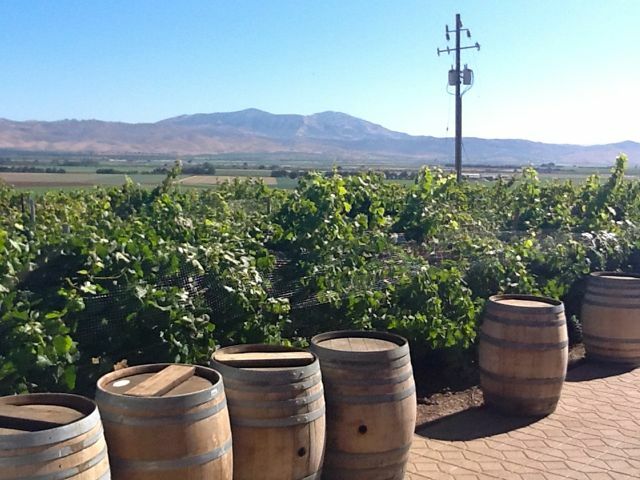 We enjoyed tasting Sextant’s crisp, clean 2011 Edna Valley Chardonnay, and their rich but balanced Wheelhouse Zinfandel and Paso Robles Cabernet Sauvignon. We had a nice surprise here, too. We drove on to Santa Barbara County, which has earned its place in American wine lore as the venue for the famous (or infamous) movie, “Sideways.” This dubious distinction aside, the region also produces some of the country’s best Pinot Noir and Syrah. 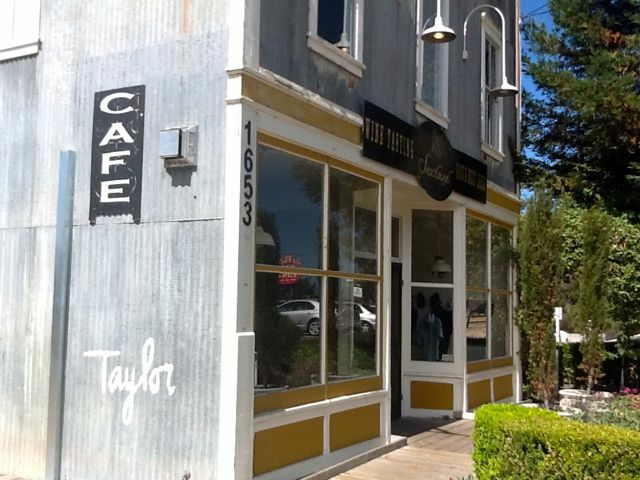 The ambience here is rural but up-scale, with small towns such as Lompoc, home of the famous Wine Ghetto that we didn’t get to visit because these hot young “garage” wineries are only open for tasting on weekends. (Note to self — schedule next visit Friday to Sunday). The cool-climate Santa Rita Hills region is where we put on our tasting caps, enjoying exceptional (and highly-awarded) Pinot Noir and Chardonnay with Alvin in the Melville Winery tasting room. We tasted great Pinot Noir at Melville — l. to r. Bruce Cotanch, Cris Cotanch, Deb Lapmardo (TWM Wine Supervisor in Phoenix) and Chuck Lapmardo. 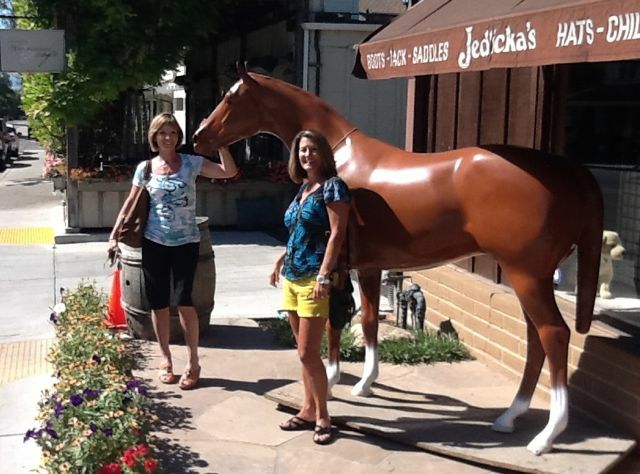 Just a little further up-valley we chatted with Hollie at Dierberg and Star Lane Winery. The owners grow fruit in both the Santa Rita Hills and warm-climate Happy Canyon, where they own a staggering 8,000 acres of this newly-recognized AVA that’s actually warmer than most of the Napa Valley. 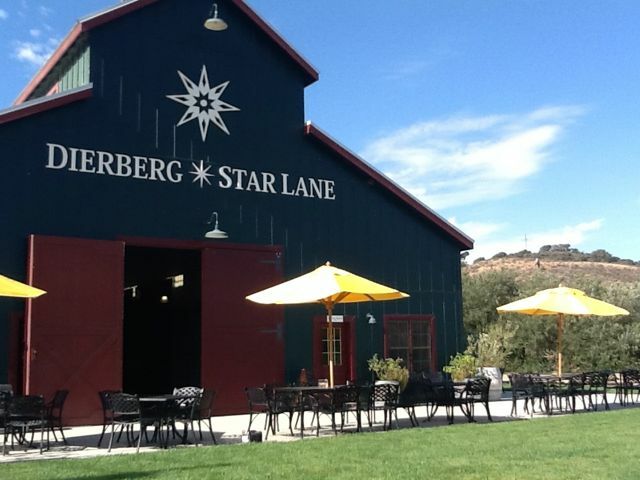 Dierberg’s wines have earned big scores and an international reputation: the 2007 Dierberg Syrah Santa Ynez Valley was served to some of the world’s most exalted dignitaries at the 2012 NATO Summit. 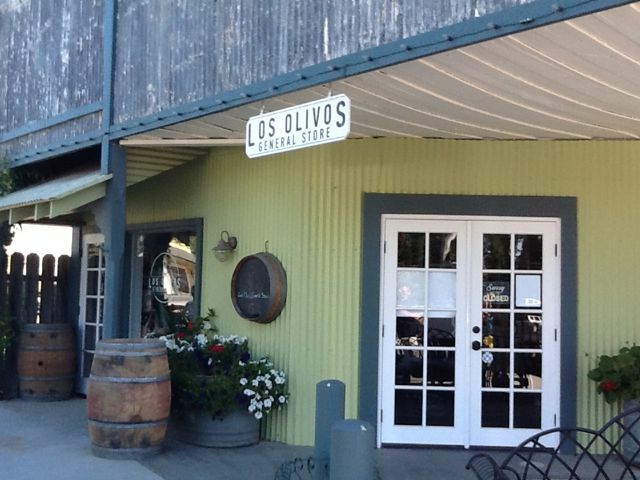 Our favorite destination was the charming and funky little town of Los Olivos. 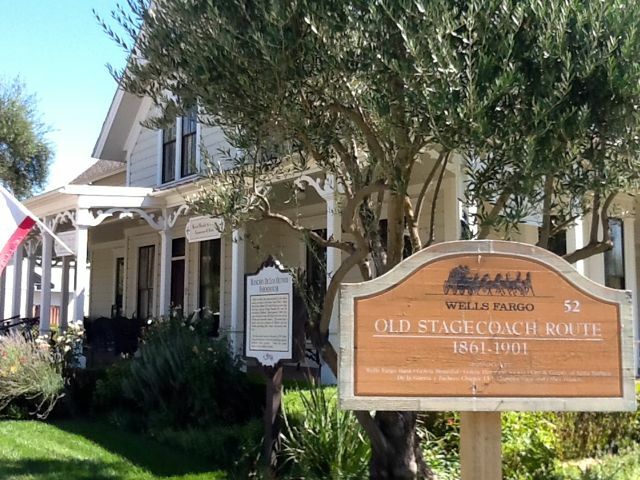 Historic buildings and old store fronts have been converted to tasting rooms, art galleries and shops, but there’s still evidence of the cattle ranching that’s been a mainstay in this valley for generations. We had a killer lunch, too, at Sides Hardware and Shoes – A Brothers Restaurant. This converted hardware and general store is actually a restaurant operated by, you guessed it, two brothers. Their home-smoked Brothers bacon looked like a slab of pork, and the BLT with local Heirloom tomatoes and Basil Aioli was one of our favorite meals of the entire trip. 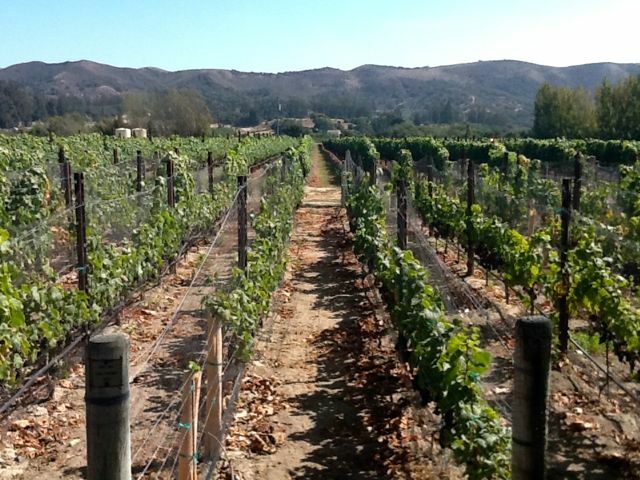 We tasted many great wines, including Syrah from Stolpman Vineyards, grown in warm-climate Ballard Canyon on the eastern side of the Santa Ynez Valley, further away from the ocean’s influence. Across the street, we were wowed by Tensley’s Syrahs, which have received some of the highest scores ever awarded to California Syrah. But you don’t need scores to appreciate the concentration, elegance, and balance in Joey Tensley’s wines. The very next day, as we reluctantly departed the quirky little town of Solvang to brave the Los Angeles freeways, we read the Wine Advocate’s just-released Central Coast Wine Report 2012. 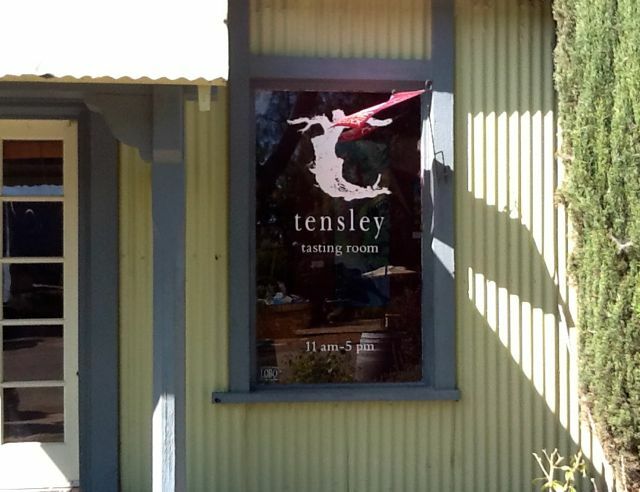 Not surprisingly, many of the wines we’d tasted got huge scores (95 points for Tensley’s Colson Canyon Syrah 2009! ), but we didn’t need critics to tell us that this wine region represents the best our country has to offer. It was nice to know, though, that Antonio Galloni agreed with us. You can bet we’ll be back to enjoy the unspoiled, uncongested, undeniably awesome Central Coast. Cheers! 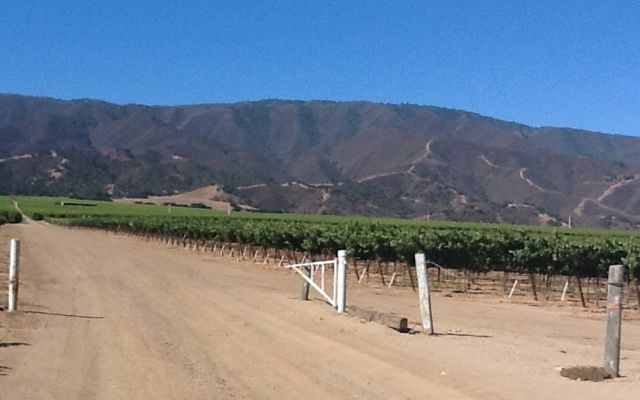 From the Santa Lucia Highlands you can look across the Salinas Valley to the Gabilan Range. It was clear to me from the very beginning that California’s Central Coast wine region is a world away from the Napa Valley. This huge appellation runs south from San Francisco all the way to Santa Barbara, encompassing an incredible range of microclimates and topography, and everything from big towns, to small towns, to no towns at all. In the Santa Lucia Highlands, where I started my trek, there’s not a Tuscan-style tasting room in sight; no boutique hotels or gourmet restaurants; heck, there’s not even a gas station. What I did see was lettuce — lots of it. Row crops cover thousands of acres on the valley floor, and it was harvest time in the Salinas Valley. 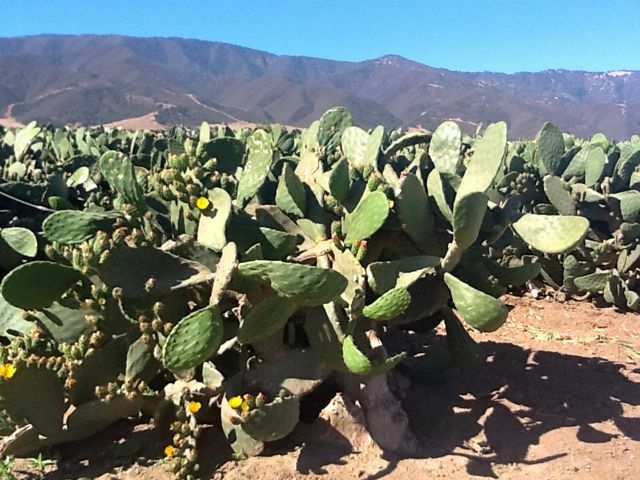 A good portion of the nation’s salad makings were being trucked out of the lowland that lies between the Gabilan Range to the northeast and the Santa Lucia Highlands to the southwest. The two ranges almost converge as they near the Pacific Ocean, but that lovely little gap between them makes this area a paradise for wine grapes. Morning fog and cool afternoon breezes from Monterey Bay blow in through the gap, moderating the temperatures and creating a wonderfully long growing season. Pinot Noir and Chardonnay thrive in the vineyards scattered along the benchland on the lower slopes of the Santa Lucia Highlands. There are more grape growers than winemakers here, most selling at least some of their fruit to high-end, highly-awarded wineries. We passed Garys’ Vineyard (owned by two guys named Gary) from which Testarossa makes a killer Pinot Noir. Then we stopped at Paraiso Vineyards, owned by the Smith family, who were among the first to plant grapes in the Santa Lucia Highlands. 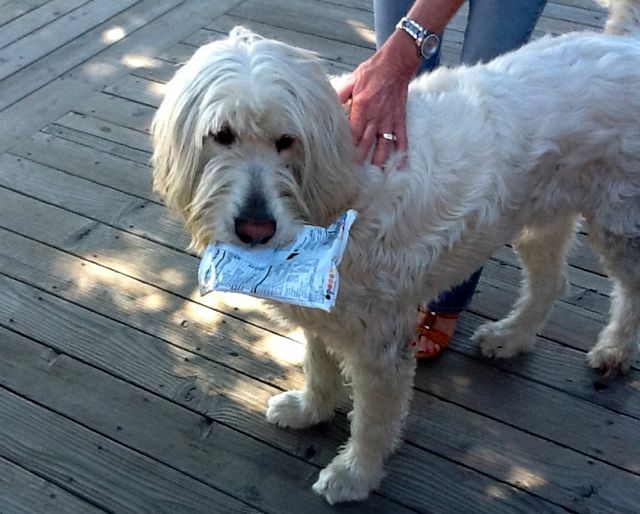 Every winery has a dog or two: Bleeker lives at Paraiso Springs. What are cactus doing in wine country?? 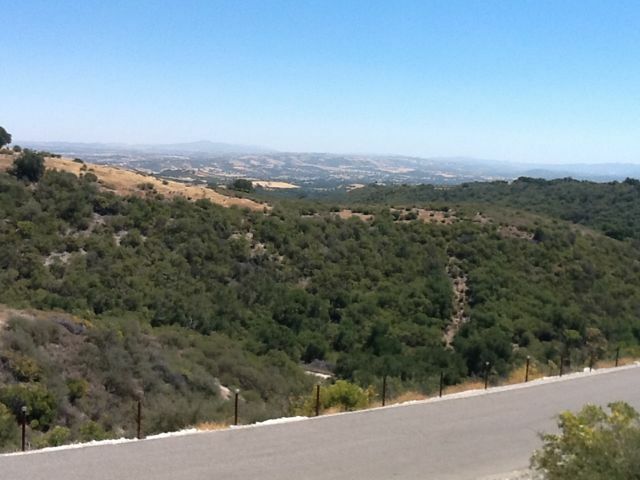 The white-knuckle drive up to Calcareous ends in a spectacular view. 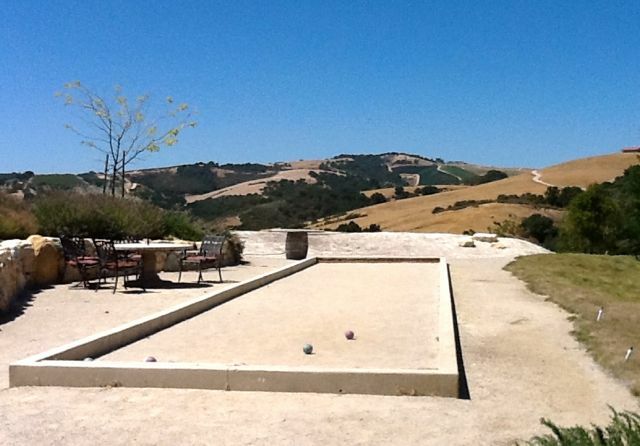 We continued south along the Salinas Valley, aiming for the region some call “the next Napa Valley.” The town of Paso Robles (and the AVA) sit at the southern end of the Santa Lucia Highlands, where the Monterey breezes don’t reach. The summer days are hot here, but Paso has its own thermal regulator: the Templeton Gap, which splits the Coastal Range just south of town, pulling in morning fog and afternoon ocean breezes that are strong enough to blow your hat off — really! Warm-climate grapes thrive here — Zinfandel, Cabernet and Rhone varietals — and the wine industry has exploded in the last two decades. The once-sleepy town has grown up too, with gourmet restaurants such as Artisan where we had a great dinner with wine-loving friends (and of course, some good wine: we loved Stephan Asseo’s L’Aventure Estate Cuvee). Vineyards cover the hillsides at L’Aventure. This is what a limestone deposit looks like. 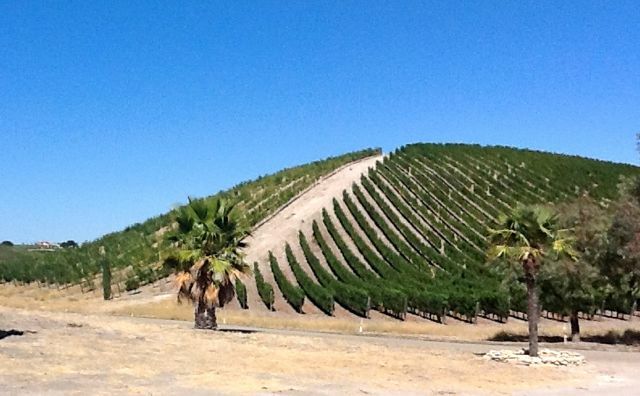 The West Side of Paso is all hillsides and valleys, and most wineries here are off the beaten track. We twisted and turned up to the top of Peachy Canyon Road to visit Calcareous Winery, which seems to perch on top of the world. 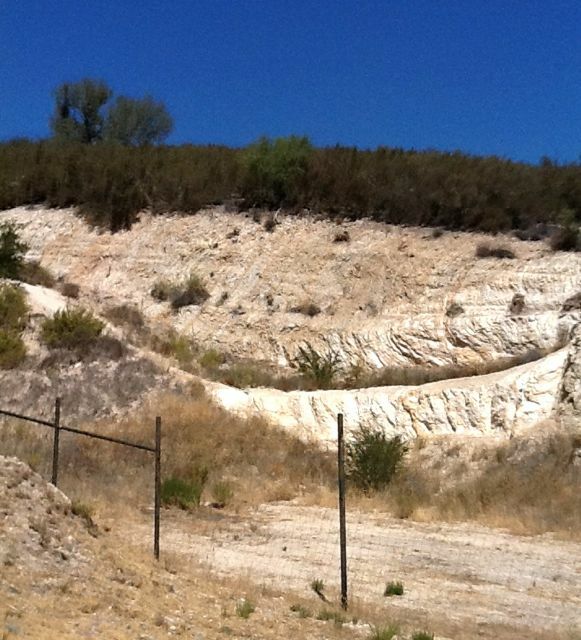 They (and most of Paso Robles) sit on top of California’s largest deposit of calcareous soil. This is a good thing for wine grapes — this one-time sea bed is, well, really lousy soil. Poor soil makes grape vines work very hard to gather water and nutrients, and that’s a good thing because stressed vines produce grapes with more complex, concentrated flavors. The folks at Calcareous were wonderful hosts, and we lunched on Ginger Glazed Salmon before barrel tasting with Royce, the assistant winemaker. We especially loved Tres Violet, a rich and soft Rhone-style blend, and the Twisted Sister line from Calcareous: the Zinfandel and Cabernet Sauvignon are ripe but balanced, and their blend, Main Squeeze, is something you could fall in love with for everyday drinking.